Police have identified a suspect wanted in connection with an arson last week in West Philadelphia. Authorities are looking for 43-year-old Shawn King of the 5700 block of Arch Street. A fire and explosion happened last Wednesday, December 17th, around 2:30 a.m. on the 5400 block of West Girard Avenue. The two occupants of the house were trapped on the roof when firefighters arrived. They were rescued unharmed. That house and two adjoining ones sustained damage. 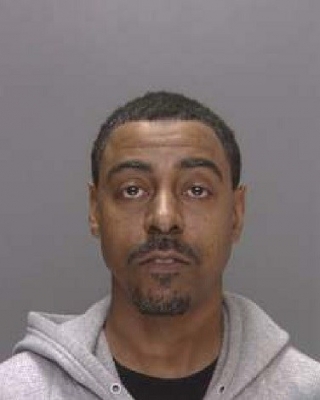 Anyone with information about the whereabouts of King should contact the ATF at 215-446-7874 or call 911. A three-year-old was struck by a stray bullet while inside his Grays Ferry home Monday morning. It happened around 11:30 a.m. on the 1300 block of S. Newkirk Street. The gunman and a 40-year-old man got into an argument outside the home. At one point the gunman pulled his gun and fired at the 40-year-old man, striking him in the leg. A bullet also flew inside the home and hit the 3-year-old in the leg. The adult victim was taken to the Hospital of the University of Pennsylvania and is in stable condition. The child was taken to Children's Hospital of Philadelphia and is also in stable condition. The shooter remains on the loose. A daycare worker in Delaware has been charged with endangering the welfare of children after she left two children inside a car unattended to go shopping. The children were discovered after the car was towed away for being parked in a no parking zone. It happened on Friday, December 19th around 12:20 pm at the Pencader Plaza Shopping Center in Newark. 40-year-old Tonya F. Robinson of Bear, DE, had left the two children ages 5 and 1 inside a 2007 Dodge Aspen. A tow truck driver found the car illegally parked. He looked in the car but did not see the kids through the tinting and amongst the packages before loading it onto the flat bed. When he arrived at the tow yard he heard the children calling out and called the police. Robinson also had called police when she found her car missing. She was arrested and was released on $4,000 unsecured bail.